Home brewing is one of the most rewarding hobbies you can have. But first things first: you need supplies. Getting a set of home brewing supplies is your crucial first step in making awesome beer. Here are the best brew making equipment that are available. Brewing at home is a whole lot easier when you have the right tools to do it. But if you’re first starting out, it’s tough to know what exactly you you will need. That is precisely why I wrote this article. In the next few paragraphs, I will give you information about the different brewing supplies you will need to get started. I’ll also go over some of the essential product features that you should look for when you go shopping for them. Lastly, I’ll cover some of the most popular home brewing supplies for each category. 11 Don’t Know Where To Start? If you have not seen my article on How to Make Beer at Home, I suggest you check it out first before reading this article. No need to buy fancy books or get exclusive account access to a brewery blog – just read this! It will allow you to familiarize yourself with the products used in the home brewing process. Now, let’s move on to one of the many enjoyable parts of home brewing – picking out your home brewing equipment! Here we go. The brew kettle is used for boiling wort during the wort-making process. It is very important to choose a high-quality stainless steel kettle that is 10 gallons or larger. Quality is important as you want it to last for years; otherwise, you may find yourself ordering a replacement in just a short amount of time. A 10-gallon (or larger) kettle would give you the option to brew a larger amount if you wish. If you go with something smaller like a 5-gallon kettle, you’re limited to only around 3-4 gallons of beer, which can disappear quickly especially if you’re sharing with friends and family. A smaller kettle will increase the chances of your wort boiling over, which can create a huge mess. There are many different home brewing manufacturers out there in [todaysdate format=Y] that provide different options and sizes for kettles. The basic kettle will simply be a steel pot with handles, while the some of the high-end models will come with a lot of bells and whistles. These bells and whistles aren’t required for brewing beer, but they can make the brewing process easier and leave little room for error. Capacity – As I stated earlier, it is critical that you choose a kettle that is 10 gallons or larger. This will allow you to bring 5-7 gallons of wort to a full rolling boil without it spilling over. Stainless Steel – It comes in a few different types of materials including aluminum, copper and stainless steel. Even though they all have their own advantages, I would suggest going with high-quality, thick, stainless steel. Ball Valve – When brewing over 5 gallons of beer, this feature is a must. The ball valve is a spigot that is located at the bottom of your brew kettle that allows you to easily transfer your wort from one place to another. Thermometer – A built-in thermometer is not necessarily a must, but more of a convenience. Temperature is critical when brewing beer, so having a thermometer built right into your kettle will allow you to constantly and accurately monitor the temperature of your wort. Expandability – Some brew kettles allow for a number of additional accessories, including the option to convert your kettle into a mash tun. This feature is only available on large capacity models. To sum it up, you should be on the search for a 10-gallon (or larger) stainless steel kettle that has a ball valve and, optionally, a built-in thermometer and additional accessories. Now that we’ve covered what you should be looking for in your new kettle, let’s check out a couple of the best selling brew kettles out on the market. There are a number of different ways to heat your kettle and bring your wort to a boil, but some are better than others. Most electric stovetop burners supply inconsistent heat that can take a long time to get your wort to a rolling boil. Also, if you have a large brew kettle, it may be impossible to fit it on the stovetop. Another method for heating your wort is an electric kettle. This method is very convenient and provides an all-in-one solution for boiling your wort. Since this method is electronic, it can take an hour to get your wort to boil unless you go with a 240v option. n addition to being able to hold large-capacity brewing kettles, it can also quickly bring the wort to a rolling boil with its 72,000 BTU/hr of power. They can also be used in outdoor conditions, so if you want to brew outside during the day, then you should get yourself one of these. 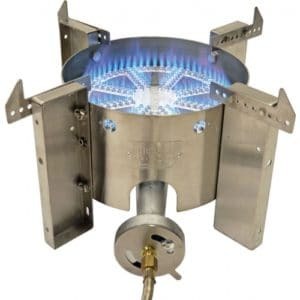 Now let’s take a look at some of the more popular home burners. A fermenter is another vital piece of home brewing equipment that you definitely cannot go without. That is unless you’d like to drink non-alcoholic wort, which I can guarantee you is not pleasant. Since home brew fermenting units come in different shapes and sizes, it can tend to get a little confusing when it comes down to making your very first fermenter purchase. But don’t worry, I’ll show you some of the more popular fermenters out there that have proven to work best and can deliver a great home brew. The wort chiller is another vital home brewing supply equipment. After boiling your wort, you’ll have to cool it down to so it’s not going to be boiling-lava hot. You can do this quickly and easily using a wort chiller. Although this process can be accomplished by just letting your wort sit around for a while, using a wort chiller is a much better solution. Quickly cooling down your wort lowers the chances of contamination and getting off flavors, and it improves the overall clarity of your home brew. There are three main types of wort chillers: the immersion chiller, the counterflow wort chiller, and the plate chiller. Our best wort chiller reviews contain all three of these types. Immersion Chiller: The immersion chiller is one of the most common and easy-to-use wort chiller solutions in the home brewing world. It’s simply a coil of stainless steel or copper tubing that is cooled by running cold water through it. Clean and sanitize your coil with Easy Clean and Star San and then immerse it in your wort. Let the cold water flow, and you’re in business! Counterflow Wort Chiller: The counterflow wort chiller is the most efficient wort chiller design and is best suited for larger home brew batches of 10 gallons or more. The counterflow wort chiller design works by incorporating a copper tube inside another copper tube. The hot wort flows through the inner tube while cold water runs through the outer tube in the opposite direction, creating a counterflow design. This design is a little more complex to use and works best with a kettle that has a spigot. 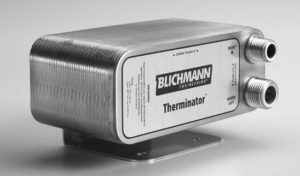 Plate Chiller: The plate chiller is hands down the fastest and most efficient way to chill your wort. Similar to the other two methods, the plate chiller uses cold water to chill your wort. However, unlike the immersion and counterflow wort chillers, it uses a smaller amount of water, making it the most efficient type of chiller available. The plate chiller uses water-cooled stainless steel and copper plates that maximize surface-to-volume ratio. This option is a little more complex than the immersion style chiller but is definitely worth the hassle. If you go this route, I strongly recommend picking up a backflush assembly for cleaning. After you’ve experimented with extract brewing and think you’ve gotten the hang of it, it’s time to try your hand at all-grain brewing. All-grain brewing allows you a lot more creativity and control in the brewing process. However, it does require some additional equipment and steps. One of the additional steps is the mashing process, which requires the use of a mash tun cooler. There are several different types of mash tuns, and some variations are indeed better than others. 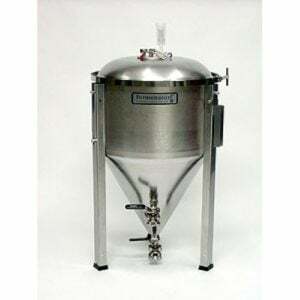 There are plenty of makeshift mash tun options out there that will do the job, but these may not be as accurate as you think they are. Here is a quick description of the two most popular types of mash tuns out there. Gott-Style Mash Tun: This is often referred to as a mash tun cooler and is one of the best and most popular home brewing options. This is perfect if you’re brewing smaller batches of wort that range from 5 to 7 gallons. This option is a converted drink cooler with a spigot and false bottom. With this option, you’ll heat your water to the proper temperature and pour it into your mash tun cooler. The insulated Gott-Style mash tun works well because it can maintain a consistent temperature for long periods of time. 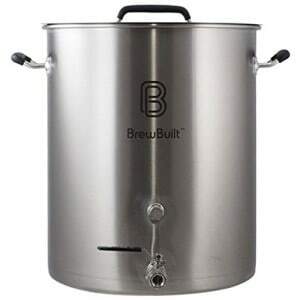 False Bottom Brew Kettle: If you own a brew kettle large enough, you can convert it into a mash tun by purchasing a false bottom. Since the false bottom can take up lots of room in the kettle, you’ll want a kettle that is 15 gallons or larger. The tricky part when going this route is to reach and maintain a constant and steady temperature between 150° and 158.8° for an hour or so. You’ll need to keep stirring your mash and monitoring the temperature. This is the preferred method for experienced and commercial brewers. Once you’ve finished brewing, you’re now ready to bottle your home brew. There are a number of simple products that can make this task easy. But remember: Transfer your beer out of the primary fermenter and into a bottling bucket first to avoid picking up the sediment that is left behind. So before you grab your empty bottles, let’s take a look first at some of the most popular bottle filling options out there. 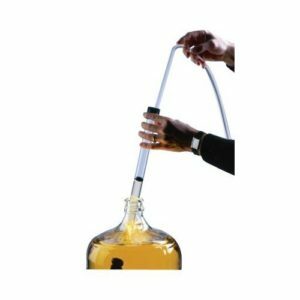 Simple Bottle Filler (Siphon): The basic and simple bottle filler is a popular option among the small batch home brewer. It works by siphoning the beer into the bottle using gravity. Certain models often utilize a spring tip to start and stop its flow. You can even use this filler for your mead, cider, and wine making projects as well. Counter Pressure Bottle Filler: This is the most common filling technique and is used by commercial breweries. However, this method is only an option if you are kegging your home brew beer. This option provides a sediment-free, fast and easy bottling solution. Once your beer is added to your bottle, you’re ready to put a cap on it! All you’ll need is some crown bottle caps and a bottle capper. There are two main types of bottle capping systems out there, which are described below. Double-Lever Bottle Capper: The double lever capper is a simple bottle capping machine that attaches crown style, non-twist beer caps to the glass bottle by applying force to two spring-loaded handles that crimp the cap to the bottle. This is a really easy and simple way to cap your homebrew. However, if you’re planning on capping a lot of beer, this may get tiring and monotonous for you. 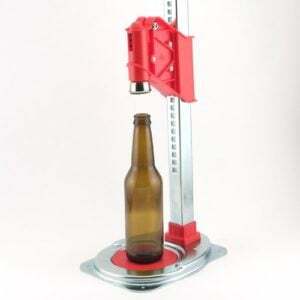 Bench Bottle Capper: The bench bottle capper is a much less tiring, more efficient way to cap your home brew. It’s also very easy and simple to operate. If you’re bottling more than a few beers, this is the route I would go. Keep in mind though that bench bottle cappers are designed to be secured to a tabletop of some kind. You can usually buy these recipe boxes from your local brew shop or from a site online. They come with every ingredient you’ll ever need to make your beer. You can craft basically any type of brew, from IPA to ale to lager. Just tap into one of these recipes and you’re good to go. 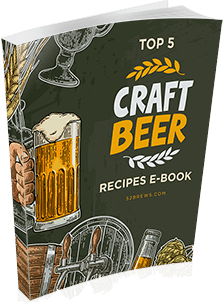 Once you’re confident enough to create your own recipe, you can skip these recipes, and hand pick each ingredient to craft your own completely custom-made home brew. Partial Mash Beer Recipes: Partial mash recipes are designed for the extract brewer who wants to get more creative and adventurous with their home brew. This is a great way advance to a whole new level without making the jump into the more expensive all-grain process. A few more steps are required for the partial mash process so some additional equipment will still be necessary. All-Grain Recipes: All-grain recipes require additional brewing equipment. This type of recipe is for more advanced brewers who have already experimented with extract recipes and are ready to craft something a little more complicated. They will generally come with mash ingredients, boil additions, dry or liquid yeast and priming sugar for bottling. You can find most of these items from your local store. However, if you’re on the cheap, you could get these for free by going through your parent’s cupboards. Having these additional tools is also a good sign that you’re on your way to becoming an advanced brewer! So I’ll try to be brief with each of these brewing supplies while getting you up to speed on the additional gear you’ll need and why you need it! Are you ready to learn? A brewing thermometer is a very inexpensive accessory, so there is absolutely no reason to skip out on it. 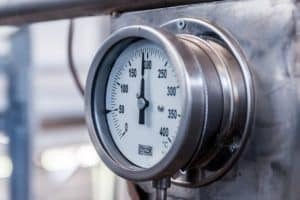 You’ll find that nearly all brewing thermometers are made from stainless steel and come in either a digital read or the good ol’ fashion dial face. Honestly, it doesn’t matter which one you choose as long as it’s accurate. Personally, I prefer the standard dial face. 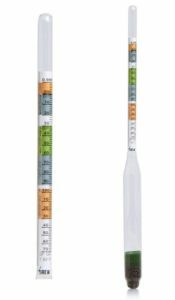 B) Hydrometer for Beer – A hydrometer is a handy tool that measures the amount of dissolved sugars in water. You’ll use this tool to measure the original gravity of your wort to get the estimated amount of alcohol that your wort can produce. Once your home brew is fermented, you’ll then measure the final gravity of your beer to use in the ABV formula (OG – FG) x 131 = ABV. C) Beer Brewing Spoon or Paddle – Not just any old spoon you’ve got lying in your kitchen drawer, but a huge gigantic stainless steel or food-grade plastic stirring spoon. Try stirring a 15-gallon brew kettle full of hot liquid with a tablespoon. (Please don’t.) Grab yourself a high-quality stainless steel or food grade plastic spoon that is at least 18” long. I would grab a secondary spoon if I were you as brewing spoons tend to be used a lot. 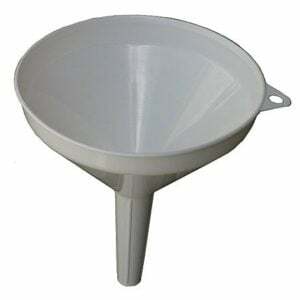 D) Funnel – Depending on your brewing method, a funnel is sometimes used to transfer the wort to the fermentation tank. If you’re going this route, ensure the funnel is nice and wide but is still small enough to fit in your carboy. The last thing we want is you wasting your precious brew so please get one of these. E) Strainer – The strainer is used for many different steps in the home brewing process, especially when extract brewing. You use it for straining the hops out of the wort, pulling out the grains from the wort, etc. Do yourself a favor and pick up a stainless steel strainer with two layers of mesh. 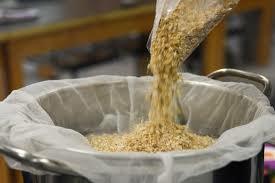 F) Muslin Bags – Used mostly in extract brewing, the muslin bag is a simple mesh bag that will hold the grains and hops. Most beer recipes will include muslin bags, so if you’re planning on starting with a recipe starter box, you won’t have to worry about purchasing these separately. G) Food Grade Sanitizer – I cannot stress how important it is to clean and sanitize absolutely everything that you will be using to brew including kettles, spoons, carboys, strainers, etc. Even a keg (if you have one) should be sanitized. The whole system should be sanitized! 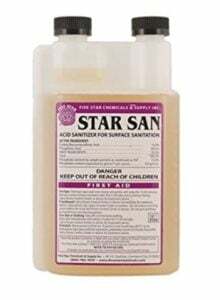 I recommend using a no-rinse cleaner like Easy Clean from LD Carlson Company in combination with Star San no-rinse sanitizer. The no-rinse feature of these cleaners and sanitizers come in really handy when trying to clean carboys and other hard to clean fermenters. Look, I understand. The equipment list for home brewing can be very overwhelming. It was for me when I started. If you’re someone who just wants to start brewing immediately, I have the perfect solution for you – beer making kits (we’ve written on it and it’s even updated for April). They’re are designed so that you can already start brewing the moment you open the box. They would also be a great gift for any enthusiast out there.